All around the world, India is so vast, rich and beautiful, so when it comes to honeymoon tourism in India many individuals prefer taking an online help and searching beautiful honeymoon destinations in India. If you are planning your honeymoon packages online and on a budget? It doesn’t necessarily have to be Spain, London or Paris. To help in planning your honeymoon trips we present to you a list of Top 10 Honeymoon Destinations in India from Kashmir to Kanyakumari and from Mumbai to Kolkata travel in 2018. 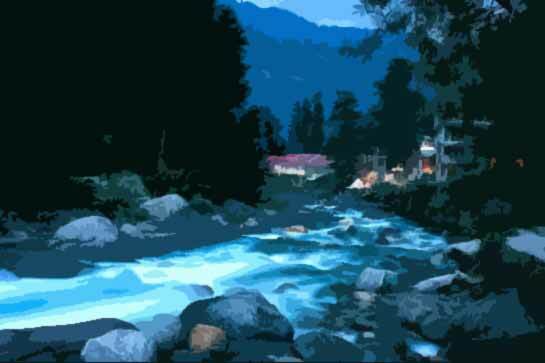 Manali pronounce as the ‘Valley of Gods’ in India is the perfect peaceful and romantic honeymoon destination. This mesmerizing and much loved hill station located in the Himalayan wilderness, and ideal hill resort in India for honeymoon visits by newly married couples. Tourist attractions: Solang Valley, Rohtang Pass, Hidimba Devi Temple, Bijli Mahadev Temple, Bhrigu Lake, Great Himalayan National Park, Naggar Castle, Club House , Lord Manu Temple, Tibetan Monasteries, Vashist Temple & Water Springs, Jagatsukh, Manali Winter Carnival, Beas Kund, Arjun Gufa, Gulaba, Jogini waterfall, Pandoh Dam, Rahala Falls, Manikaran Gurudwara. Things to do: River rafting, Skiing, Snow-biking, Trekking, River crossing, Paragliding, Rock climbing, Zorbing. Best hotels or resorts: Hotel President Manali, De Vivendi Resort, Glacier Resort, Hotel Snow Park, Hotel Narayan Manali, Snow Valley Resorts, Manali Heights, Honeymoon Inn, Tree House Cottages, Shingar Regency, The Manali Inn, and The Himalayan Resort & Spa stc. Shimla, the Queen of Hill Stations is the capital city of Himachal Pradesh, lies in the south-western foothills of majestic Himalayas. When you’ll make a honeymoon with your sweetheart to this picturesque hill amidst towering snowy Himalayan ranges, surrounded by lovely lakes and lush green pastures, you will never resist yourself falling in love with extreme natural beauty. On your honeymooning vacation in Shimla you will also love to make a short journey to some nearby towns such as Kufri, Chail, Kasauli, Naldehra, Rampur, Renuka Lake, Tattapani, etc. Tourist attractions: The Mall (shopping street of Shimla), The Ridge (Christ Church), Jakhu Hill, Jutogh, Indian Institute of Advanced Study, Summer Hill, Annandale, Tara Devi Hill Temple, Sankat Mochan, Anand Vilas, Kufri, Naldehra, Chail, Tattapani, Chadwick Falls, Dorje Drag Monastery, Viceregal Lodge, Hip Hip Hurray Amusement Park. Things to do: Leisurely sunset walk at the Mall, Ice skating, Trekking, Tee off at the Naldehra Golf Course, Kufri zoo. Best hotels or resorts: Aachman Regency, Hotel Landmark, Hotel Mayur, Hotel Combermere, Woodville Palace, Hotel Ashiana Regency, and Honeymoon Inn etc. Munnar is a honeymooners paradise on earth, regarded as a perfect honeymoon destination in India, and a small hill station located in the Idukki Dist in the southwestern Indian state of Kerala. The state is beautifully dotted with the gorgeous tourist attractions that leave spell bound to all the visitors such as Trivandrum, Cochin, Alleppey and many more. This mountain village is so charming as it is located at the confluence of three mountain streams Muthirapuzha, Nallathanni and Kundala, and also called the Kashmir of South India. Thus, make your honeymoon trip a dream come true with Munnar experience, as this is the ideal point for the couples to hang out and have some of the most romantic moments of their married life. Tourist attractions: Tea Gardens, Anamudi Peak, Echo Point, Lakkam Waterfalls, Eravikulam National Park, Indira Gandhi Wildlife Sanctuary, Mattupetty Dam, Rose Gardens, Rainbow Waterfall, Punarjani Traditional Village, Cheeyappara Waterfalls, Salim Ali Bird Sanctuary, Fun Forest Adventure Park, Kundala Dam Lake, Chinnar Wildlife Sanctuary, Tata Tea Museum, Marayoor, Salim Ali (Thattekkad) Bird Sanctuary. Things to do: Walk in the Clouds, Rock Climbing, Rappelling, Boating, Bicycling, Yoga @Kaivalyam Retreat. Best hotels or resorts: Club Mahindra Munnar Resort, Misty Mountain Resort, Spicetree Resort, Kaippallil Inn Resorts, Autumn Trees, Allens Cottage, Hotel Misha, Pulimoottil Estate Bungalow, Greenspaces Munnar, Deshadan Mountain Resort, Spice Garden Resort, and Bella Vista Resort etc. Are you looking for a perfect beach honeymoon destination in the southwestern part of India? If so, then visit Goa, the state has a plenty of fascinating and scenic beaches among which the most famous and favorite spot for honeymooners. As of economic study, Goa is the wealthiest state in India with a per capita GNP two and a half times that of the country as a whole. Apart from a beach paradise, Goa also offers couples the wonderful opportunity to enjoy informal time of love being together to explore the shimmering and exotic charm of wildlife sanctuaries and parks. Also on the beach, couples love to swim, sunbathe or just sit under the palm trees sway and grab each other naughty talking. Tourist attractions: Anjuna Beach, Palolem Beach, Patnem Beach, Vagator Beach, Morjim Beach, Ashvem Beach, Mandrem Beach, Candolim and Sinquerim Beaches, Colva Beach, Calangute Beach, Baga Beach, Dona Paula, Galji Bagh (turtle beach), Utorda Beach, Museums in Panaji, Goa Chitra Museum, Houses of Goa in Benaulim, Bom Jesus Basilica Church, Se Cathedral, Church of St Francis of Assisi, Church of Our Lady of the Immaculate Conception, Church of St. Cajetan, and Shree Mangesh Shantadurga Prasanna Temple. Things to do: Relax at the beaches in Goa, Anjuna flea market, Diving, Kitesurfing, Beach Paragliding, and Jet-Ski etc. Best hotels or resorts: Cidade De Goa, Estrela Do Mar Beach Resort, Bogmallo Beach Resort, Citrus Goa, Nazri Resort, Resort De Alturas, Neelams The Grand, Pride Sun Village Resort, Sukhmantra Resort and Spa, Hotel Colva Kinara, Palmarinha Resort and Suite, New Ginger Tree Beach Resort, and Osborne Holiday Resort etc. Kodaikanal, is one of the picturesque and finest hill station of Tamilnadu, located in the Palani hill range in South India. 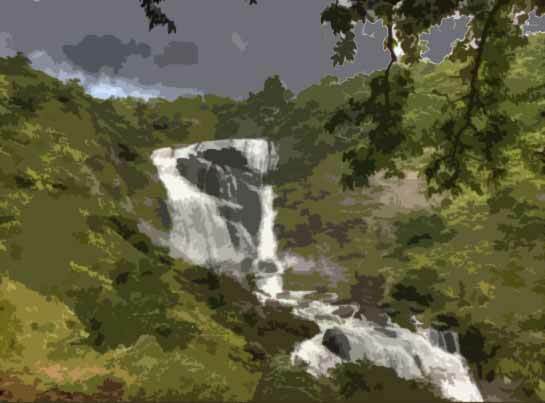 As a hilltop town in the vast district of Dindigul, Kodaikanal welcoming visitors in all seasons in a year, and its real beauty is when the waterfalls will have plenty of water. So, the beauty of the Kodaikanal hill station will depend on the weather of the day too. Kodaikanal offers many tourist attractions which are known for their huge steep cliffs, green valley view, mysterious cave formations and deep falling slopes as the suicide point, and the famous Dolphin nose view are some other eminent points. These places offer perfect picture postcard views of the breathtaking valley, but one has to be very careful while treading on them. Tourist attractions: Kodai Lake, Berijam Lake, Chettiar Park, Coakers Walk, Bryant Park, Echo Point, Kurinji Andavar Temple, Green Valley View/Suicide Point, Silent Valley View, Cap’s Fly, Devil’s Kitchen, Guna Caves, Pine Forest, Shanthi Valley, Silver Cascade, Bear Shola falls, Wax Museum. Things to do: Cycle around the lake, Boating at the Kodai lake, Trekking, Horse Riding, Balloon Shooting, Watch a Tamil movie, Kodaikanal Yoga Center, Ram Parai View point, The Prana Spa. Best hotels or resorts: Club Mahindra Hill Country Resorts, Serenità Homestay, Cranberry Residency, Lilly’s Valley Resort, Valley View Inn, MARS Cottage, Kodai Retreat, Hotel Astoria, Elephant Valley Hotel And New Gold Nest etc. Darjeeling a hill station discovered by British first, placed in the bosom of the noble Kanchenjunga, is just a group of villages that are managed intermittently by Nepal and Sikkim. In case you are looking for an escape from the life of the contaminated and stress-free city and wants to get relaxation and refreshment, a Darjeeling tour is highly recommended because Darjeeling hills remain cool and refreshing throughout the year (January to December). Tea-tourism has also gained ground over recent years in Darjeeling, during the trip to India. 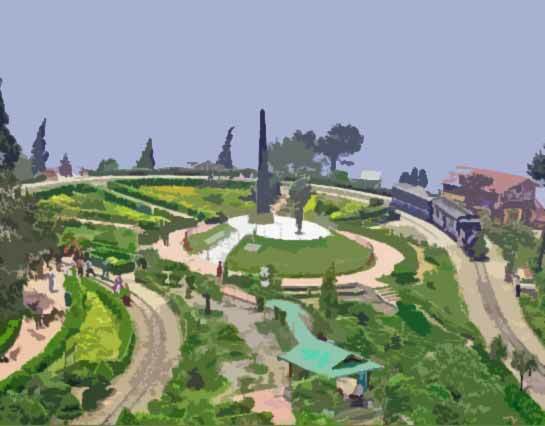 Located among the Himalayan foothills the town is truly remarkable, and offers a vivid picture of Darjeeling often remarked as the Land of Love and Peace. Tourist attractions: Tiger Hill, Himalayan Mountaineering Institute, Himalayan Zoo, Buddhist monasteries, Japanese Peace Pagoda, Observatory Hill, Rock Garden, Nightingale Park/Shrubbery Park. Things to do: Ropeway/Cable car, Get views of Kanchenjunga, Mountain Biking, Sunset Walk along trails northeast of the center. Best hotels or resorts: Mayfair Darjeeling, Hotel Sinclairs, Windamere Hotel, Elgin-Darjeeling, Amigos Homestay, Hotel Seven Seventeen, Hotel Dekeling, Hotel Pineridge, and Hotel Roma etc. Ooty, referred to as Ootacamund is a popular tourist hill resort in the South Indian state of Tamil Nadu. Ooty is also best known for the Queen of the Blue Mountains of Nilgiri district. Best of Ooty, offers various picnic places that are set in the beauty of nature and calm of Mother Nature, and easily reached by road. Ooty highways are well maintained, so your road trip a very memorable without the discomfort. 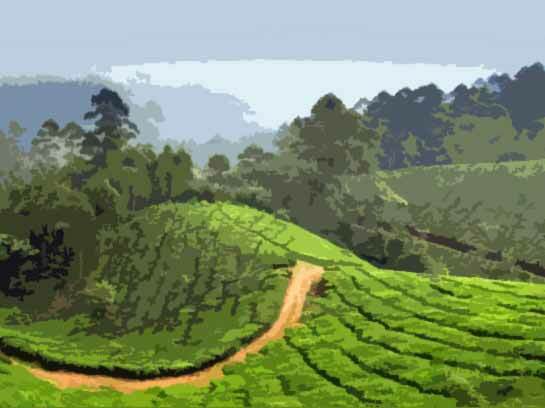 If you are planning a honeymoon holiday to Ooty, then you must need to know about Where To Stay, Where To Eat, Where To Shop, What To Do, What To Visit here. Tourist attractions: Ooty Botanical Gardens, Doddabetta peak, Annamalai Temple, Ooty Rose gardens, Wax World – (Wax Museum), Sims Park (Coonoor), Falls and Boating at Pykara, Echo Rock, Dolphin’s Nose, Shooting point, Hidden Valley. 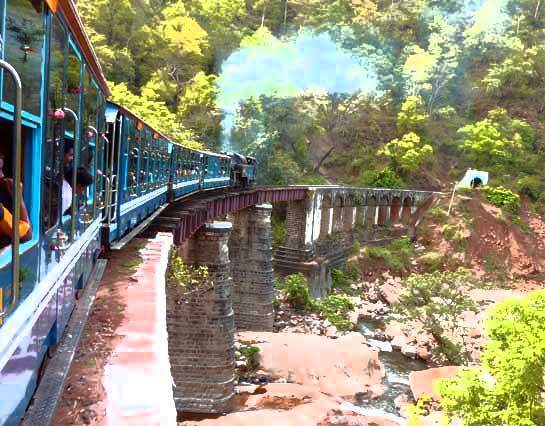 Things to do: Travel on Nilgiri Mountain Railway (NMR), Hiking, Trekking, Rock climbing, Horse back riding, Local market shop. Best hotels or resorts: Hotel Darshan, Karnataka Hotels Ooty(Sudarshan), Sunshine Inn, Sherlock Hotel, Hotel Savoy, Hotel Sinclair, Hotel Maneck, and Sullivan court etc. Mussoorie, is a captivating hill resort and charming honeymoon spot located in the Garhwal hills just 34 km away from Dehradun city, in the Indian state of Uttarakhand. 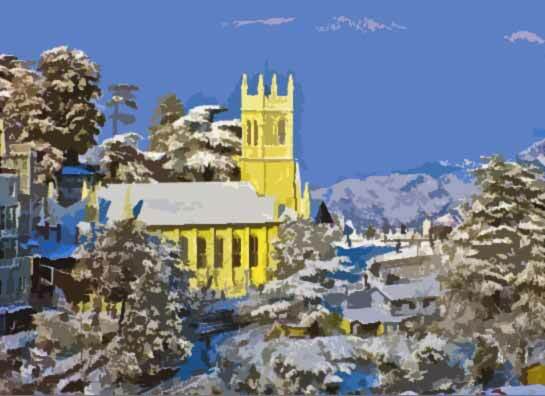 A fascinating story about Mussoorie that. it was uncovered by a British army officer, who explored the region and laid the foundation for the construction of a hunting lodge here. Appropriately known as the “Queen of Hills’, the scenic beauty of this place attracts tourists all over the world. Everything is so sparkling about Mussoorie. 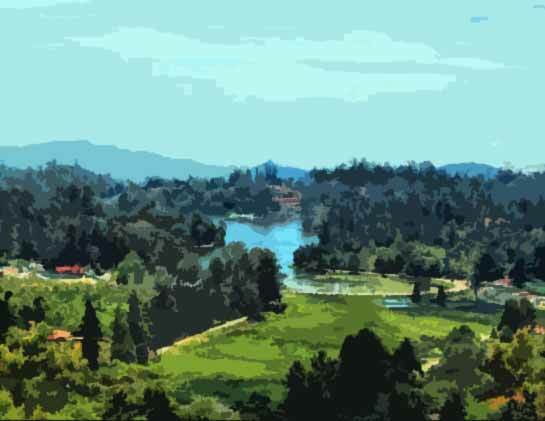 The mountain resort is a paradise for honeymoon travelers. 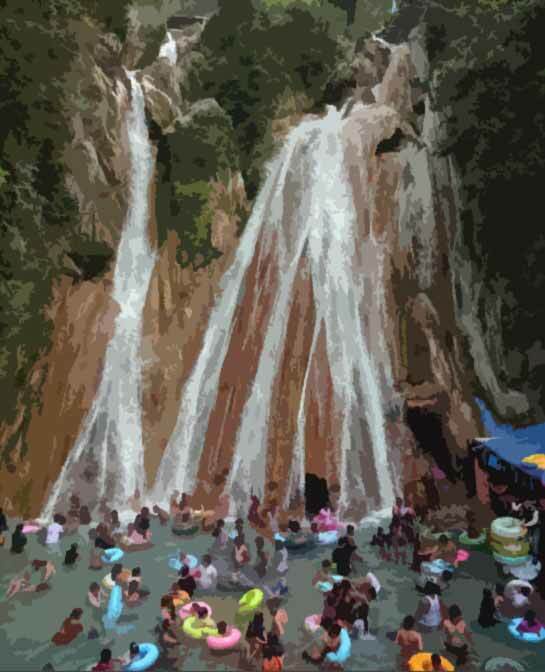 So, whether do you have any concerns about Mussoorie consult us, or just walk away and start packing your bags for this marvelous environment destination of India. Tourist attractions: Kempty Falls, Lal Tibba, Lake Mist, Happy Valley, Dhanaulti, Himalayan Weavers, Jawahar Aquarium, GUN HILL, Bhatta falls, Tibetan Buddhist Temple, Everest House and Point, and Mussoorie Heritage Centre etc. Things to do: Shop oldest Book at Cambridge Bookstore, Get Landour Language (Hindi, Urdu, Sanskrit, Garhwali), FastTrack Gaming Cafe, Sunset Jharipani walk. Best hotels or resorts: Hotel Emerald Heights, The Golden Palms Hotel & Spa, Hotel Dwaper, Shiva Continental, Hotel Ashoka Continental, Country Inn Mussoorie, Honeymoon Inn, Avalon Resorts at Gun Hill, Nirvan Inn, and Hotel Nand Residency etc. Kumarakom, a small green town in the God’s Own Country- Kerala, known for most refreshing and enthralling ecstasy destinations in India. Kumarakom is an ideal tourist destination to behold the splendor of the enthralling backwater regions of the Kerala state. Kumarakom is the most popular wildlife resort of Kumarakom bird sanctuary. It is a highly protected nature reserve that sleeps numerous Indian and migratory bird species, and morning is the ideal for bird watching. 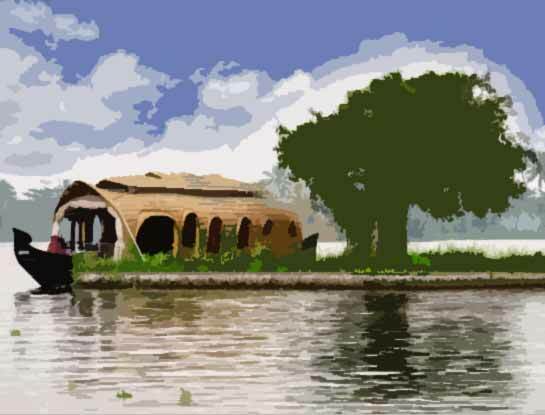 A houseboat trip over the Kumarakom backwaters or Vembanad Lake also provides unforgettable and delightful experience to honeymoon couples in Kerala. Kumarakom, situated on the southern shores of India, visit and get pleasure of a tropical climate balanced today. Tourist attractions: Kumarakom Bird Sanctuary, Bay Island Driftwood Museum, Aruvikkuzhi Waterfalls, Kerala Backwaters, Ettumanoor Mahadeva Temple, Kumarakom Beach. Best hotels or resorts: Club Mahindra Kumarakom, Backwater Ripples, The Zuri Kumarakom, Kumarakom Lake Resort, Kumarakom Homestay, and Abad Whispering palms Lake resort etc. Coorg, also known as Kodagu and the most famous for its hospitality of people and beautiful scenery, located in the Malnad area of the Western Ghats in the southern state of Karnataka in India. Coorg, often referred to as the ‘Kashmir of the South India’ in Karnataka. A great number of hotels / resorts in Coorg available, and its popularity as a tourism destination has led to the emergence of a wide array of accommodation options. It can be difficult for finding the best honeymoon accommodations in any of the hotels in Coorg at the last minute, therefore it is recommended to reserve well in advance. It is a real experience of visiting Coorg during the monsoon season, as everything appears to be laundered and look shiny and beautiful. A honeymoon trip to Coorg would not be complete without taking part in couple of the popular sports in the region, such as Rock-climbing and Barapole Rafting. Tourist attractions: Abbey falls, Nagarahole – Wild Life Sanctuary, Honnamana Kere, Pushpagiri Wildlife Sanctuary, Mallalli Falls, St Anne’s Church, Chelavara Falls, Omkareshwara Temple, Gaddige, Dubare Reserve Forest & Elephant Camp, Madikeri Fort, Raja’s Seat, Mandalpatti- View point, Talakaveri / Talacauvery, Iruppu Falls, Nagarhole National Park. Things to do: Barapole Rafting, Trekking, Rock Climbing, Mountain Hiking, Dirt track racing, Campfire at Beelur Golf Club, Boating or Fishing in Honnamana Kere Lake, Ayurveda massage & treatments etc. Best hotels or resorts: Orange County Coorg, Amanvana Spa Resort, The Casiita, Heritage Resort, Capitol Village, Hotel Hill Town, Club Mahindra Kodagu Valley Resort, Bison Manor, Meriyanda Nature Lodge Coorg, and Pushpagiri Estate Stay etc.